2.5 License. 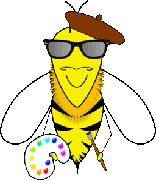 Bee image is from i2clipart.com. made before the end of the year, so may be incomplete.